A couple of weeks ago, my colleague, Monica E. Oss, talked about one of the big challenges faced by the behavioral health system – the shortage of behavioral health professionals and the resulting consumer access issues. She went on to observe that health plans are tackling this issue through the use of telehealth, including direct-to-consumer online therapy (see The Bigger The Challenge, The Bigger The Opportunity). There are literally dozens (maybe hundreds) of organizations in this space. Today, we’re going to focus on the segment that will likely prove most disruptive to the health and human service field –those organizations providing on-demand live video and text-based therapy directly to consumers. Examples of some of the organizations in this field include Amwell, Betterhelp, Breakthrough, LiveHealth Online, Doctors On Demand, Inpathy, and Talkspace. 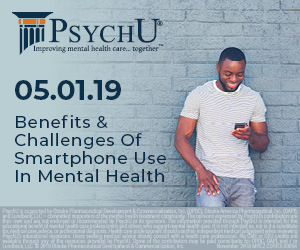 Under the live video model, consumers select whether to see a psychiatrist, psychologist, or other licensed therapist, and have a session with that clinical professional (most often through a face-to-face video connection, but occasionally via the telephone). The cost of the service is per visit and often is covered through insurance. Among organizations that provide this model, the cost of services is fairly similar and doesn’t vary greatly. Only one organization does not provide psychiatry, while the rest provide both psychiatry and other therapy options. Differentiating these organizations can be difficult, and consumers are most likely to make their selections based on convenience and ease of use – the organization with the interface they are most comfortable with or the organization that has a contract with their insurer. The other major model provides text-based therapy. Under a text-based model, consumers communicate with their clinical professional via text message, email, app messenger, or other text-based platform. Communication is asynchronous, although some live chatting may occur. Unlike the traditional telehealth model, consumers pay for a weekly or monthly subscription to the service and the number of times a clinical professional responds is built into the subscription level. Additional services are not provided by psychiatrists and rarely by psychologists. Most often, services are provided by licensed therapists. Once again costs are pretty similar in this space, usually in the $30-$40 range. I would say the major differentiator in this field is the number of check-in calls – the ability to live chat or video conference with your clinical professional. At this time, the size of the on-demand telemental health marketplace has not been estimated. Most of these organizations estimate their number of users in the millions, but this isn’t the same as the number of people actually receiving services. However, I think we’ll see this model continue to expand in the coming years – particularly for commercial consumers, mainly due to the convenience to consumers and doctor availability (see Employer Health Plans Pushing Telehealth Adoption One Step Closer To ‘Ubiquity’, Consumer-Directed Therapies – Where Consumer Use Has Outpaced Science, and Consumer Adoption Rates Of Digital Health Tech Varied – From 7% For Telemedicine To 71% For Online Health Information). Online therapy offers both convenience and cost savings consumers with mild/moderate mental health conditions. Whatever the market adoption looks like in the future, behavioral health provider organizations are going to have to compete with the lower rates offered by telehealth companies and the lower cost point to consumer. For example, while signing up for my own telehealth visit last week, I found that my copayment was $30 less than an in-office visit, which is not an insignificant amount for budget conscious consumers. This means provider organizations need to focus on marketing both to consumers and for payers. For a list of players in the online direct-to-consumer telemental health market and information about their services and fees, check out our latest report: Direct-To-Consumer Online Therapy Services: An OPEN MINDS Reference Guide. For even more, join me at The 2017 OPEN MINDS Technology and Informatics Institute on November 7 for the session, “Telehealth Best Practices: How To Build A Successful, Sustainable Program,” with my colleague and OPEN MINDS Senior Associate, Matt Chamberlain.